"Nicklas Backstrom #19 of the Washington Capitals warms up before playing against the San Jose Sharks during the first period at Capital One Arena on January 22, 2019 in Washington, DC." What I love about sports is often what I hate the most. Being in the same venues time and time again without a doubt becomes repetitive. It's a grind. But it's also a challenge that you have to love. Much like the games being played in front of our lens, you never know what can happen or how well you'll perform. Having an open mind and pushing yourself to be great often leads to simple moments making an interesting picture - much like the above. 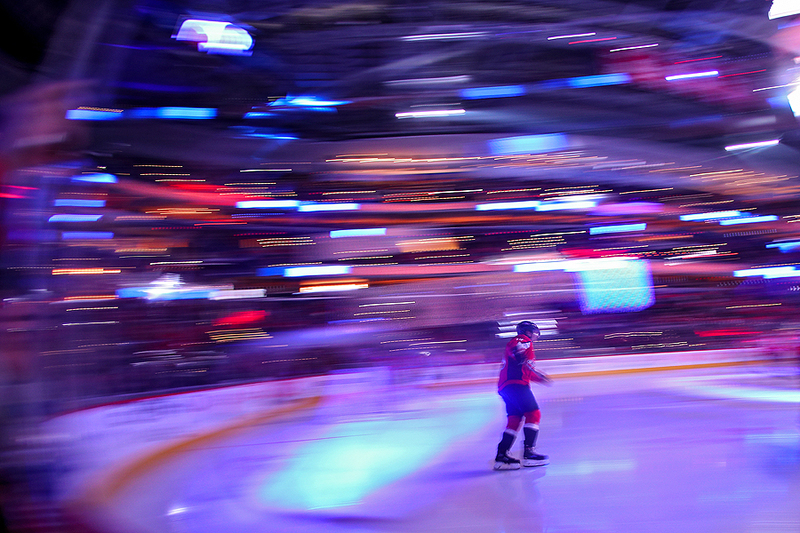 A warmup skate can make a dreamy scene that will push me to try and better it next time in the building.